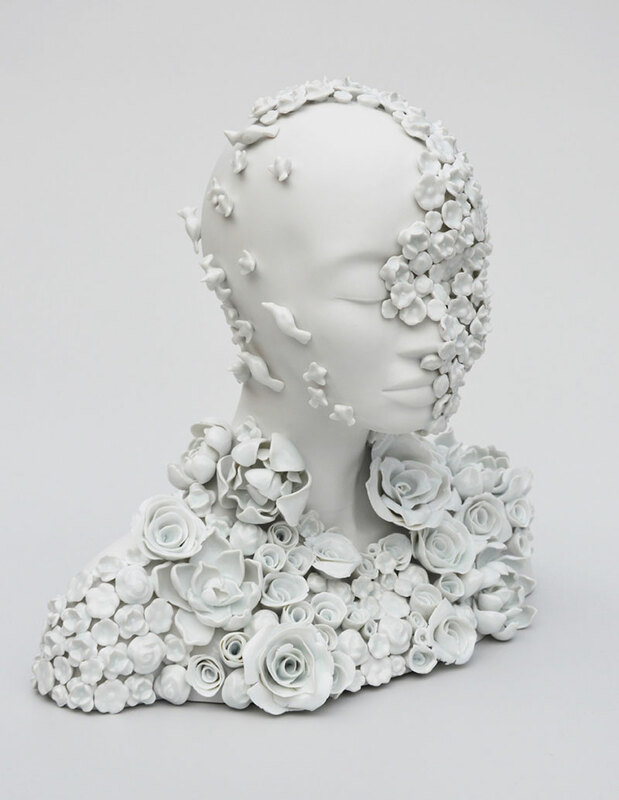 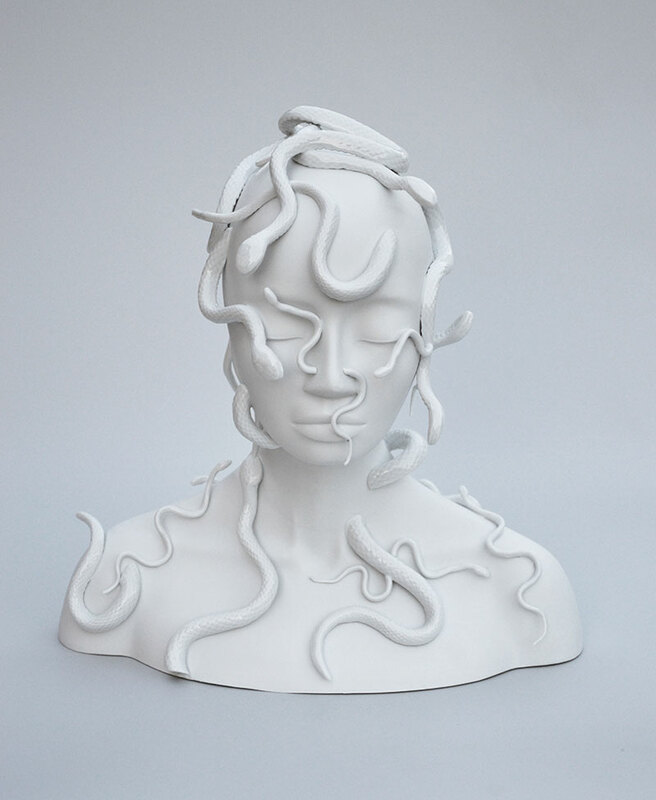 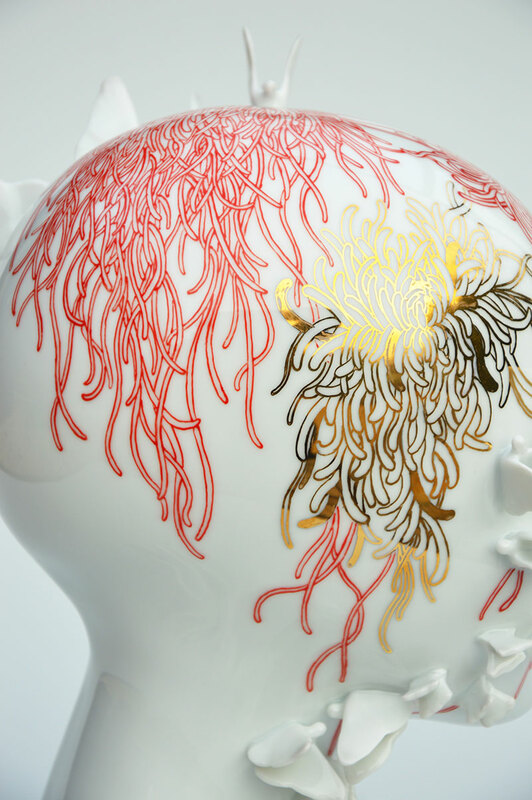 New ceramic sculptures by multidisciplinary French contemporary artist Juliette Clovis based in Bordeaux, France. 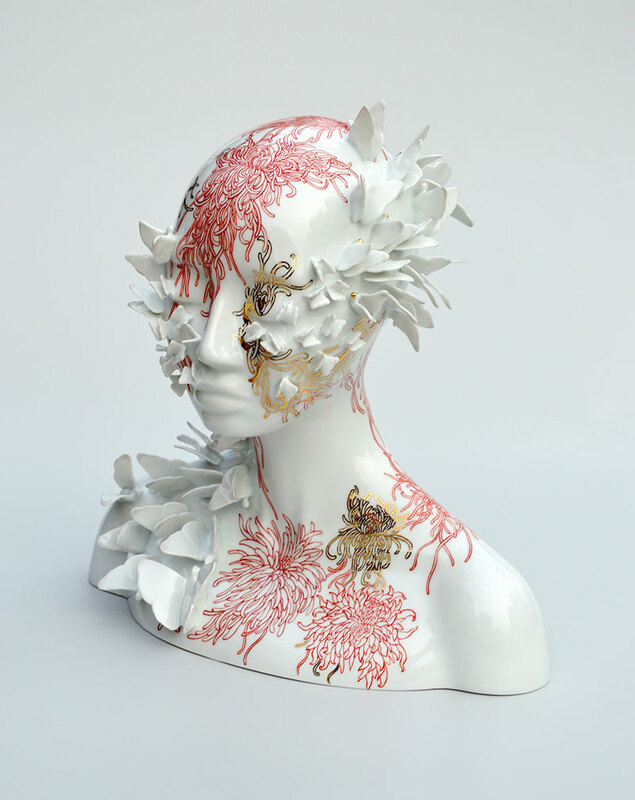 Her work explores topics of invasion and metamorphosis in the human body, transforming the female figure into hybrid beings. 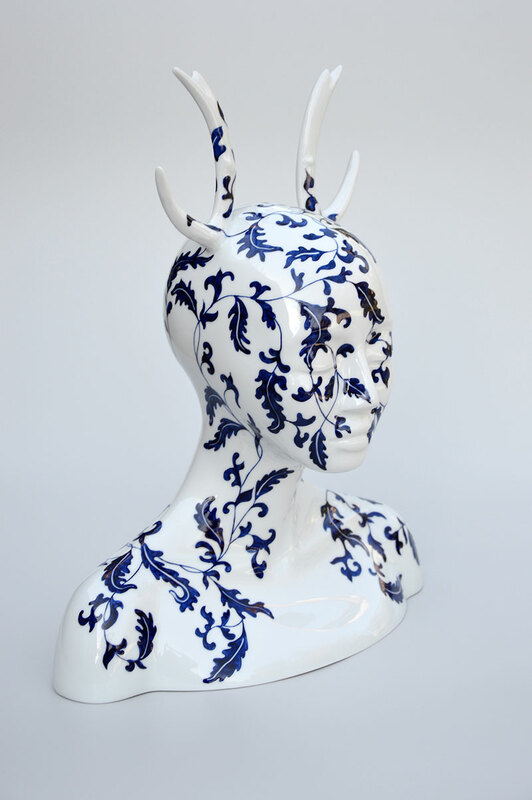 The figures are covered in a profusion of natural elements packed with wildlife and flora with some pieces appearing completely anthropomorphic, challenging and disturbing. 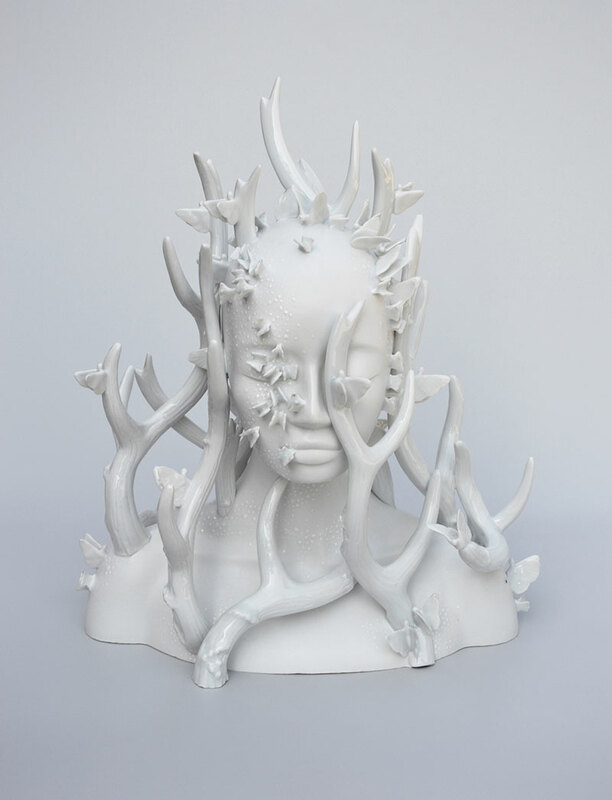 Fascinated by the wild beauty of nature, the artist draws inspiration from the discoveries made on her many trips to create her human jungles and to explore female identity in relation with nature. 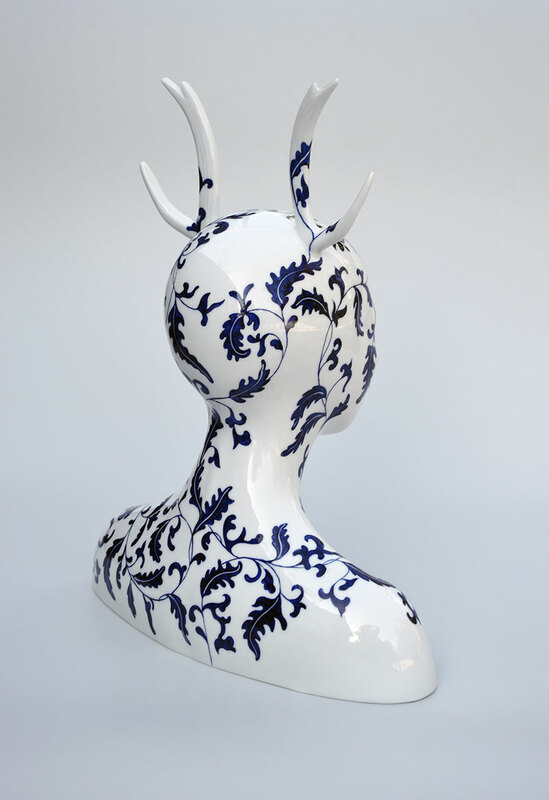 On view at Galerie Mondapart March 23–May 4. 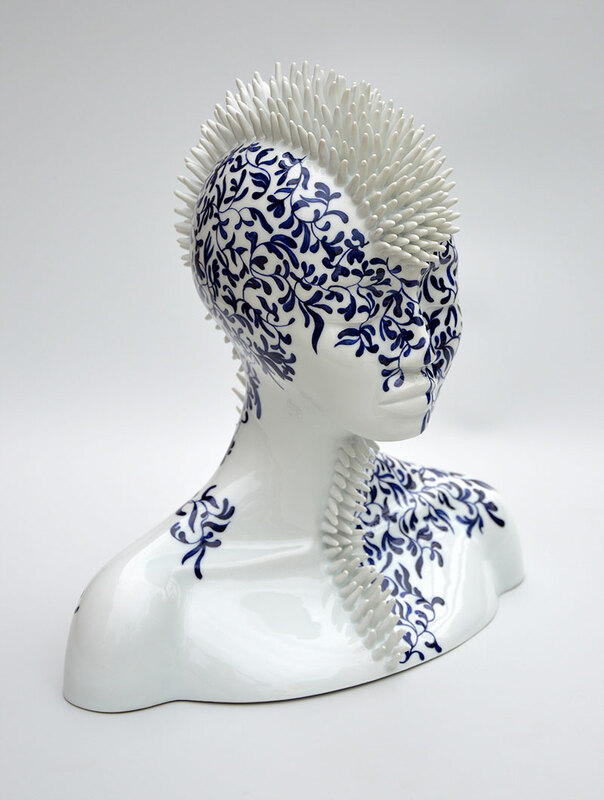 New ceramic sculptures by multidisciplinary French contemporary artist Juliette Clovis based in Bordeaux, France.